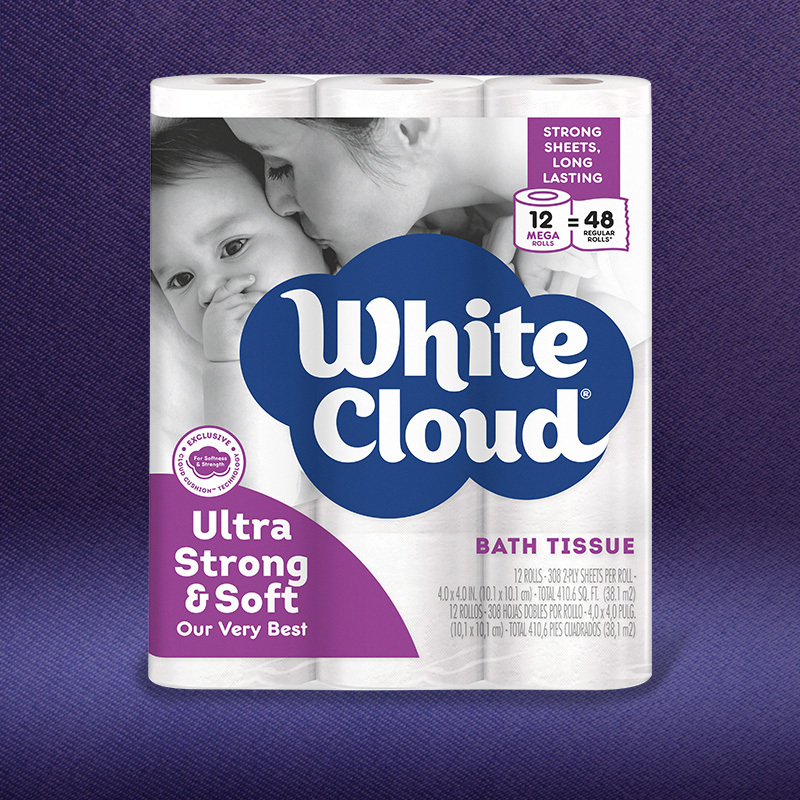 With Cloud Cushion™ technology for extra strength and softness, this is our very best 2-ply bath tissue. 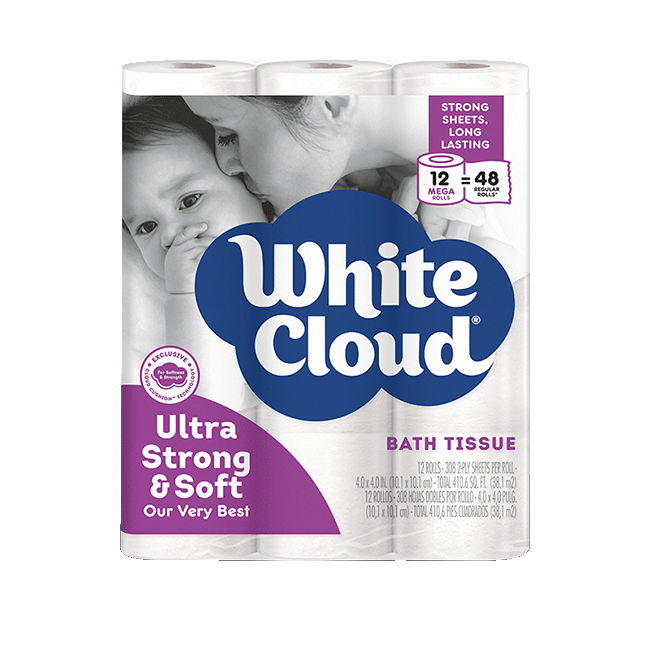 Plus change the roll less often with our Mega rolls. 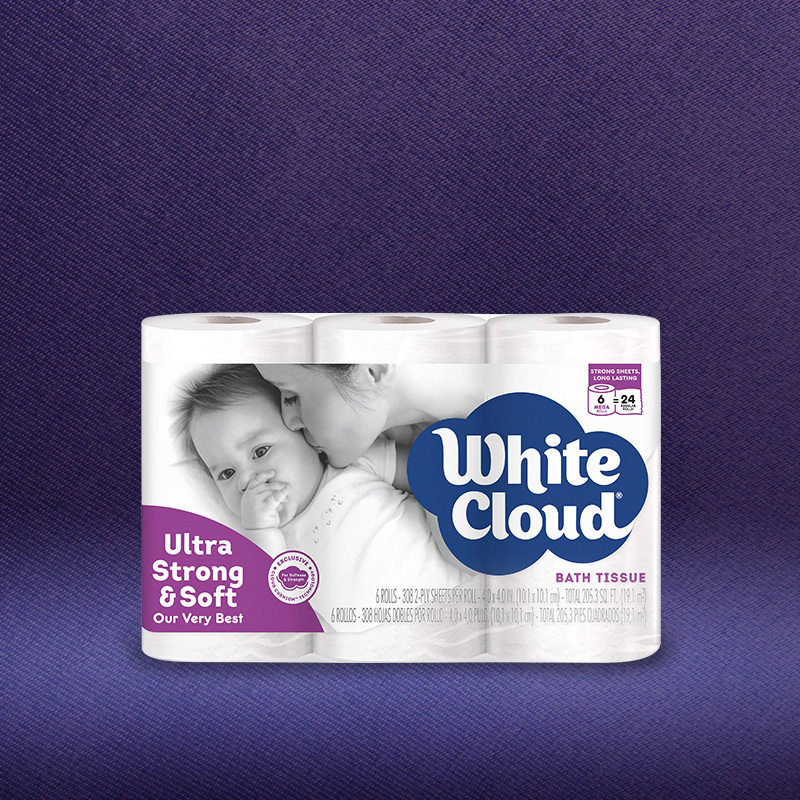 It’s like having 4 rolls in 1! Mega Rolls with 308 sheets!